Chris Iannetta after striking out. Credit: Neville E. Guard, USA TODAY Sports. 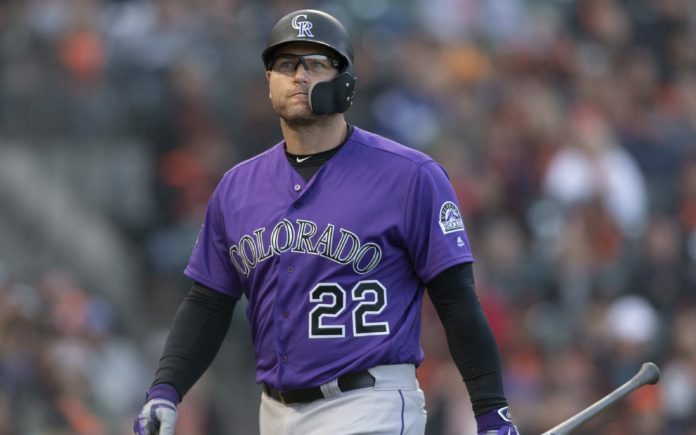 Chris Iannetta returned to the Colorado Rockies last offseason on a two-year, $8.5 million deal and has proven to be a nice addition to the clubhouse. Iannetta hit .254 with 17 home runs and 43 RBI in 316 plate appearances with the Arizona Diamondbacks in 2017, and is currently hitting .234 with seven homers and 21 RBI for the Rockies – but it’s his defense and his ability to handle pitchers that the Rockies prized. 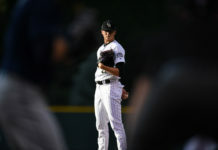 Speaking to Eric Goodman of Mile High Sports AM 1340 | FM 104.7, Chris Iannetta says that having success in baseball starts with the pitcher’s mound. Colorado is currently in the middle of a three-game series vs. the Arizona Diamondbacks and it might be the most important series of the year. The Rockies are currently 4.5 GB of Arizona for first place in the NL West. The MLB trade deadline is July 31, and Iannetta says that as a player, you have to expect anything. “It could affect anybody,” said Iannetta. “Anything can happen in this game. You wake up one day and you’re in one place; another day another. It could alter the way your playing time is. It could alter your season positively or negatively. Even teams that don’t make moves are affected by it. It’s the nature of this game. 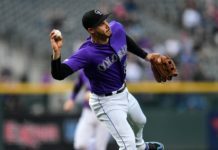 The Rockies are at a crossroads – will they be buyers or sellers? Iannetta doesn’t worry about it, and hopes his teammates don’t, either. Click here to listen to the full interview with Chris Iannetta, including what he had to say about his Colorado’s recent success and their push for the postseason.